After reporting on the recently rumored Skyward Sword Nintendo Switch port, we here at GameTyrant had a spirited debate on the franchise. Not surprising we all had different opinions on what the best mainline console entry in the franchise was. After some math stuff, this is how we as a staff have collectively ranked them. You may or may not find some of these results strange so enjoy! The cult classic Majora’s Mask was a polarizing entry for some with its three day time limit and mask system. The game was a technical wonder, driving the N64 to its absolute limits! Riding off the success of the original, Nintendo tried something completely different for the second entry in the Zelda series. Reception was highly mixed, but hey at least the game gave us Link’s signature downward sword stab! The last Zelda game released for the Nintendo GameCube and the first for the Nintendo Wii, Twilight Princess took the established series formula and made it bigger! Twilight Princess also introduced us to the awesome Wolf Link. The free roam gameplay of the original Zelda title is something the series would truly lack up until 2013’s A Link Between Worlds. Tackle any dungeon in any order the way each adventure played out was yours to enjoy. Even today The Legend of Zelda can provide a fantastic experience! Starting the Zelda time line, Skyward Sword showed us all how the cycle of reincarnation and the Master Sword came to be. Motion controls and a smaller world to explore were a huge bane to many players, but the underlying quality really shined through. A link to the Past is considered by many to be the greatest 16-bit game of all time! A link to the Past also introduced us to the signature Zelda formula as we know it today. With many challenging dungeons and exploration A Link to the Past shouldn’t be skipped! Like Super Mario 64 before it, Ocarina of Time proved an established 2D franchise could be fully realized in 3D! With a beautifully crafted world numerous dungeons and a wonderful story, Ocarina of Time will always remain a must play. Breath of the Wild, like Ocarina of Time before it, proved that once again the franchise could reinvent itself outside its established norms. Ditching the linear storytelling and paths the franchise had been using since 1991’s A Link to the Past, Breath of the Wild introduced players into a beautifully designed world. After completing the initial tutorial the world is your oyster to explore and tackle at your will! 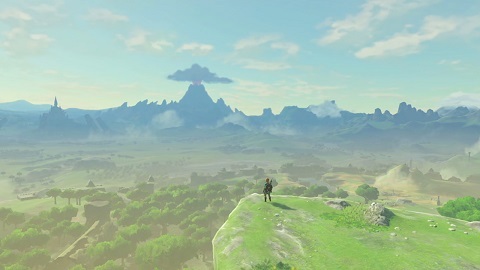 While not perfect, Breath of the Wild serves as a perfect example of how to reinvent an aging franchise for the modern era. Between its colorful cel-shaded art style and over reliance on sailing through the massive world, The Wind Waker has earned its reputation of being the most divisive Zelda game of all time. The one thing The Wind Waker was able to get right was conveying an emotional storyline which didn’t always come across in previous games. The Wind Waker was also rich with numerous quests and easter-eggs and some of the best combat the series has ever seen! Even after all these years the final battle with Gannondorf has remained one of the best boss fights I have ever experienced! If you haven’t played The Wind Waker before, don’t rob yourself of one of the best Zelda experiences to date! How would you rank the main console entries for the franchise? Let us know below!